It’s taken a long time for popular music to embrace postmodernism. It might be argued that the form is in itself postmodern, but the ludic, self-reflexive techniques that characterise postmodern literature have only properly emerged in pop (or at least have only received critical attention) quite recently. As movements like vaporwave and hypnagogic pop emerge and provide new, playful ways to reimagine the way music is consumed in the 21st century, one artist whose work has remained at the centre of these interesting directions is James Ferraro. Ferraro has spent his (astoundingly prolific) career thoroughly deconstructing incidental music, while never even giving the suggestion of this being a pseudo-academic exercise. He’s regurgitated radio-pop with On Air and Night Dolls With Hairspray, and spent dozens of albums creating surreal lo-fi tributes to unlikely pop-culture niches – KFC, Lamborghinis, Cool Runnings… Most notably and intriguingly, 2011’s Far Side Virtual appropriated some of the driest music ever made (MIDI-based audial cues, including the Skype connecting noise and the Windows XP shutdown jingle) and turned it into something genuinely enjoyable. In retrospect (it felt weird saying it at first), I’d call it one of the most important records of last year – the one which by far made me ask myself (and take pleasure in asking) the most questions about how I listen to music. But most recently, Ferraro’s work has delved into hip-hop and RnB, beginning with his two recent mixtapes as Bebetune$ (Inhale C-4 $$$$$) and Bodyguard (Silica Gel). Here Ferraro toyed with musical styles which share his penchant for trashiness, indulging in goofy chopped & screwed sampling and OTT special effects. But there was something less incisive about Ferraro’s disengaged appropriation of these styles. Far Side Virtual worked because the reference material was so faceless; its cultural significance purely clinical, but so ubiquitous in the Western world. So there are two reasons why Bebetune$/Bodyguard were uncomfortable: the first is that it overlooks the cultural, non-formal aspects of trap-rap etc. with which fans are engaging, focusing on its secondary formal qualities; and the second is that it’s an unnecessary exercise, as many figures within hip-hop internalise a self-reflexive approach to the disposability of their music – we have rappers like Lil B poking fun at hip-hop disposability and trashiness, with his 855-song mixtape and a recent song attributed to his cat Keke, providing more fun and food for thought than Ferraro did across the two mixtapes. 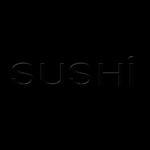 Sushi is in many ways a continuation of those experiments, in that it shares similarities with trap music in its HD fx-heaviness and pitchshifted vox, but Ferraro is less interested in peaks and drops as making “sushi” – tiny bite-size chunks of ear-candy, finely and delicately crafted, but consumed quickly and disposably; a nice metaphor for modern music consumption. It is a more sophisticated effort that stands separately from his pointed postmodern excursions – a feasible beat tape even, if it weren’t so hyperactive. It shares some of the plunderphonics of Silica Gel, but used in a more honest, creative way – I think that’s the same Rihanna sample in Flamboyant, accompanied this time by cloud-rap style bass vox and a cartoonish soundbite of a ringpull and a breath of quenched thirst. It’s reminiscent of the audacious sampling material of TNGHT’s excellent EP from a few months ago, but Ferraro is less excessive than that; there are no “bangers” on here, and even when he’s sampling breaking glass and firearms (Baby Mitsubishi) he actually sounds quite reserved. It’s kind of a midpoint between the repetitive vocal sampling and giddy drum machines of footwork, and the slowed-down explosiveness of trap, something less obnoxious than either. But the standout tracks don’t sound much like any genre, despite their unified techniques. Lovesick uses plinky percussion and keyboard arpeggios amidst the alien vocals to create something quite gorgeous. So N2U might sound cheesy with its “shoop de-de doop” sample, but its immersive bassline and maximalist (yet uncluttered) texturing prove that Ferraro has already mastered his digital tools despite his contrastingly lo-fi analogue origins. The album suffers from a comedown towards the end, as Condom and Bootycall slow the tempos, the stimulant glee ebbing away. Sushi’s main strength is the way it draws from so many strands of contemporary electronic music, but sounds like something else in its own right. Whether or not it sounds more like a comment on those styles as well as something to enjoy will inevitably be mediated by the presence of Ferraro as cultural mischief-maker. It holds up well nonetheless, but what has been remarkable about the rest of his career is how much one’s enjoyment and one’s reconsideration of pop culture became intertwined. I sense that a more disruptive, thought-provoking work in a similar vein may be yet to come.